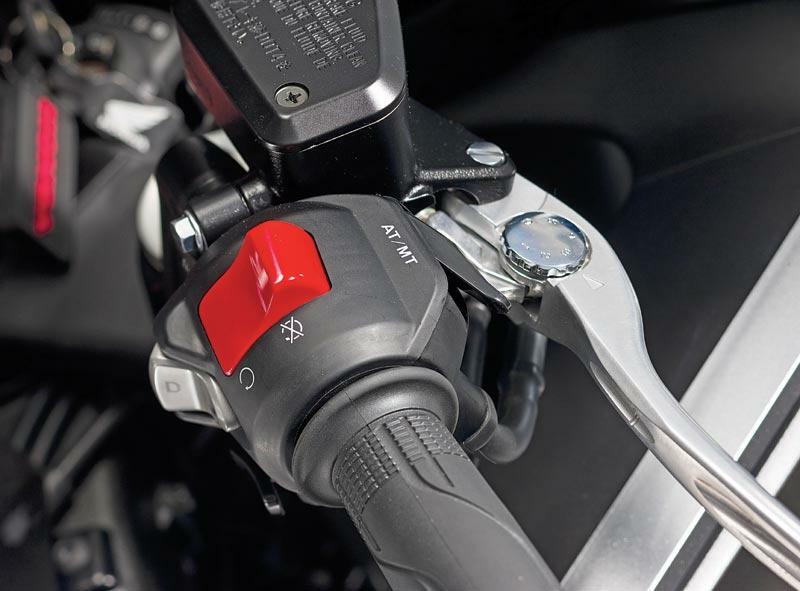 The ‘DCT’ bit of Honda’s new VFR1200F stands for ‘Ducal Clutch Transmission’, Honda’s name for it’s all-new, clutchless, semi-automatic transmission system which is so different it warrants a review all its own, and so impressive and revolutionary it heralds the start of an all-new technical era. 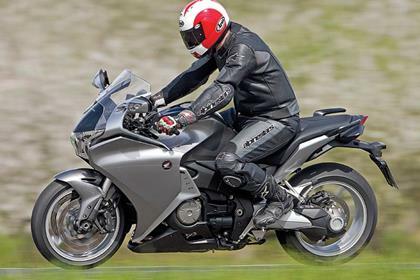 The standard Honda VFR1200F’s handling could be best described as solid, stable and smooth, and the DCT version’s no different despite an extra 10kg. Though a big, heavy machine, the VFR1200F carries its weight low and carves bends predictably – just don’t expect lightweight sportsbike-style flickability. 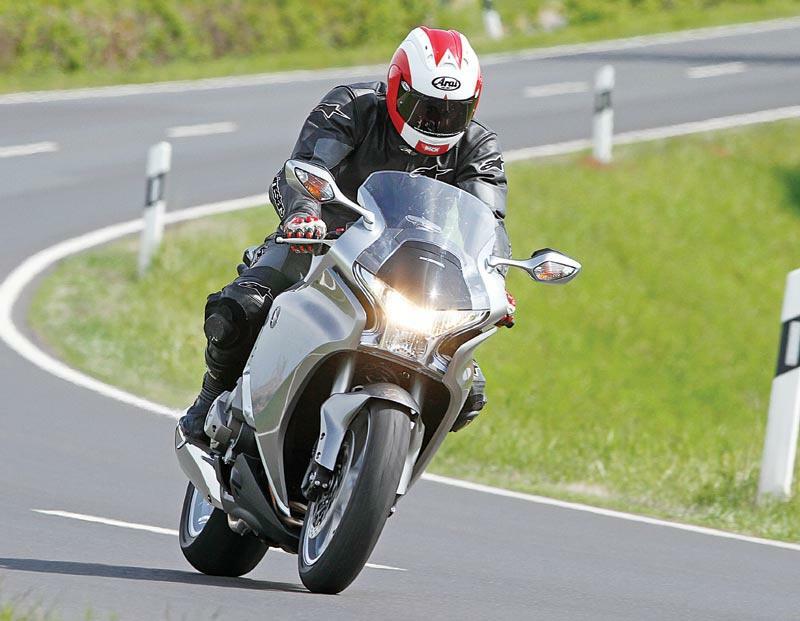 The DCT’s V4 is the same as the standard VFR1200F’s – meaty, flexible, smooth and brisk. 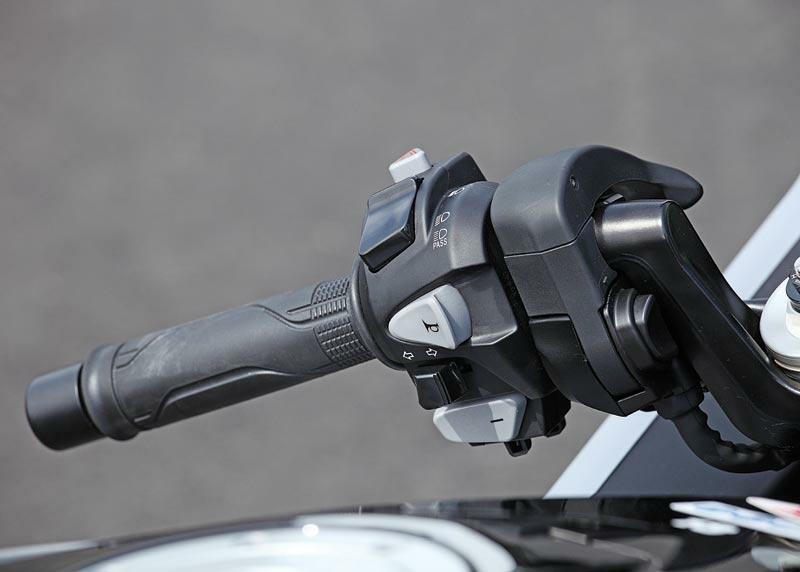 What’s new is the revolutionary transmission – two full auto modes and a ‘Tiptronic’-style push-button, clutchless manual option. All work brilliantly, seamlessly and astonishingly smoothly, so much so you’ll wonder why we ever put up with cable clutches and crude gearchange levers. On the downside, it’s a lot to get used to, arguably unnecessary and many actually like the finesse and involvement conventional clutch and gear levers give. No problems here with the new VFR11200F DCT. Paint finish is sublime, quality, as you’d expect from Honda, excellent. To early to pronounce on reliability and the sophisticated electronics on the DCT are a potential minefield, so beware. Whichever way you slice it, Honda’s new VFR1200F DCT isn’t cheap, but it’s technology is currently unique, works brilliantly and the base bike ain’t bad either. For a ground-breaking, super-effective, flagship superbike, the price seems to be the going rate these days. Find a Honda VFR1200F for sale. 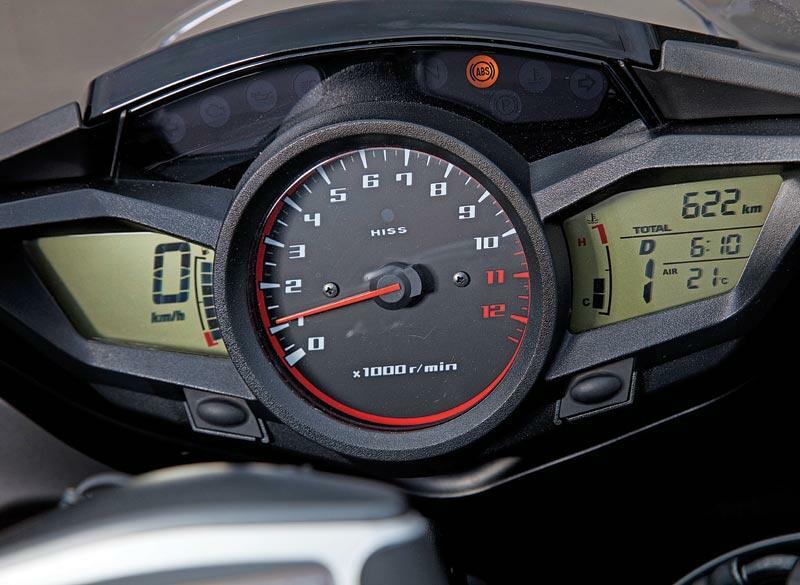 The base VFR1200F is slick enough, but has been criticised for lacking the goodies many rivals boast, such as electric screens and suspension, on-board computers and so-on. The addition of DCT, however, truly sets it apart. 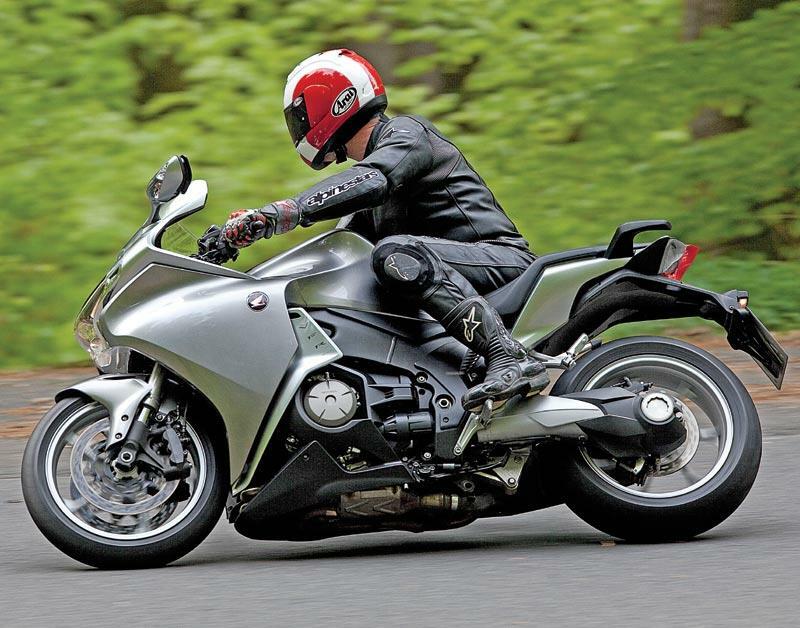 Honda VFR1200F: standard version has conventional gearbox and costs around £1000 less. 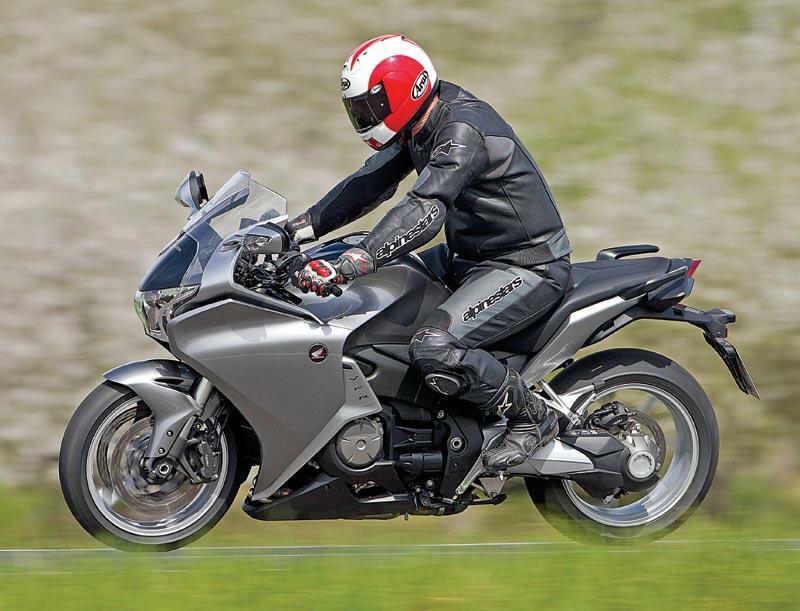 4 owners have reviewed their HONDA VFR1200F DCT (2010-on) and rated it in a number of areas. Read what they have to say and what they like and dislike about the bike below. Fantastic Bike, buying second hand offers great value for money. You would be hard pushed to buy a better bike. Had my reservations about the Dual Clutch model, went on a reluctant test ride as the manual bike was in for a service. What can I say, I ended up buying the bike, absolutely brilliant has me grinning ear to ear everytime I go on it. My knees are not the best and having the Dual Clutch just makes everything effortless, but still rewarding. It maybe pricey, but look at he price of the Yamaha FJR and its getting really long in the tooth. Hang on a moment its using technology thats been around for donkey's years in the car world. Don't get me wrong the whole love of a motorcycle is changing gears, blipping on downshifts etc but having ridden both machines I can see the attraction. Having spent over an hour filtering around the M25 I would have loved to have had the dual clutch version instead of manual. 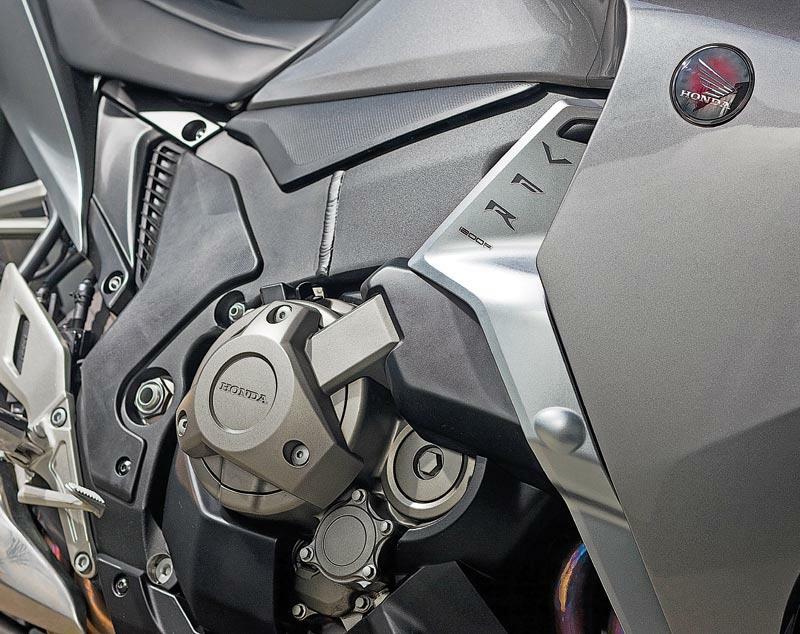 The dual clutch bike will certainly have its followers and I can see this becoming more commonplace in the motorcycling world. The tank range is slightly pathetic I can drain it in 90 miles, but I've also heard people achieving 150+.